On the failed PSLV-C39 mission in August, Kumar said a committee was looking into it and "it is in the final stages of their findings". Nearly a month after its unsuccessful attempt at placing a navigation satellite into space, the Indian Space Research Organisation (ISRO) is gearing up for its next PSLV mission in November-December. "We are planning the next PSLV launch in November-December," ISRO chairman AS Kiran Kumar told reporters on the sidelines of the 68th National Conference of Aeronautical Society of India in Thiruvananthapuram today. On the failed PSLV-C39 mission in August, he said a committee was looking into it and "it is in the final stages of their findings". "It will also stipulate the exact problem. We are waiting for it," the ISRO chief said. Kumar asserted there was no problem with the launch vehicle. "Only that particular separation of the heat shield was the problem," he said. 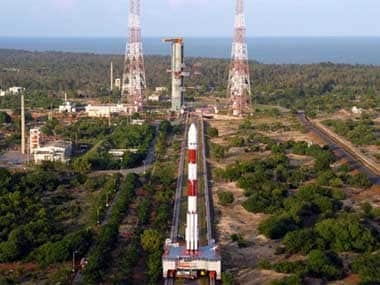 The ISRO chairman also maintained that there would not be any change in the control system of the launch vehicle. The launch of ISROs navigation satellite onboard its polar rocket had failed on 31 August following a technical glitch, just prior to its scheduled orbiting in space. Earlier, at the conference titled Emerging Trends in Aerospace Technology, Kumar focused on the need to develop indigenous cost-effective aircraft as "major development is expected in regional transport aircraft sector". Stating that the technology required for the same already exists, the ISRO chariman said the question was whether the country could built aircraft here itself and make them operational at an affordable cost. "Though the nation has made great strides in aerospace, launch vehicle and missile technologies, it has mot made much progress in passenger aircraft sector," he pointed out. Reasons could be manifold and it is a complex issue, he said. Obtaining certification of the system for usage is also a problem, Kumar said, adding "we need to take up this issue and resolve it."